We'd love to hear from you: feel free to reach with any questions about our products, inquiries for custom work, or to arrange a visit to see our machines. We're located in the Eastern Adirondacks of Upstate New York. 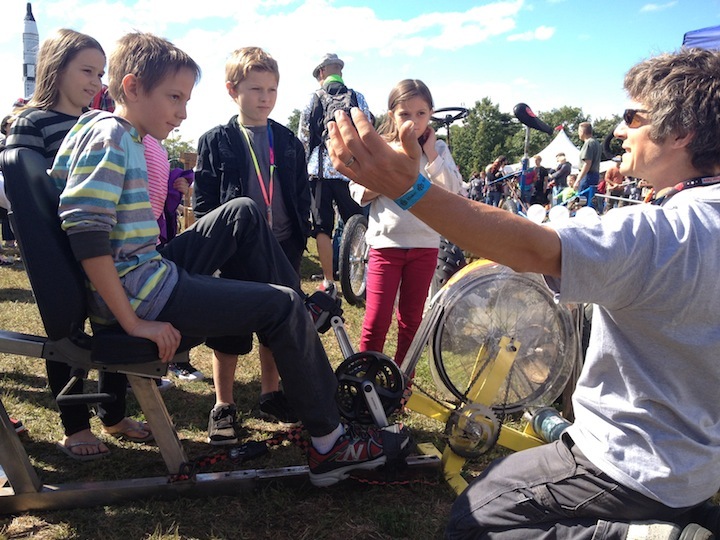 Andy demonstrating our machines to kids at the 2013 Maker Faire in New York City.